Amid the bustle of the Montgomery County Agricultural Fair (held this year August 13-21) it’s nice to escape for a while from the raucous rides and mooing cows and visit a garden oasis. If you attend our upcoming fair (it’s fun!) 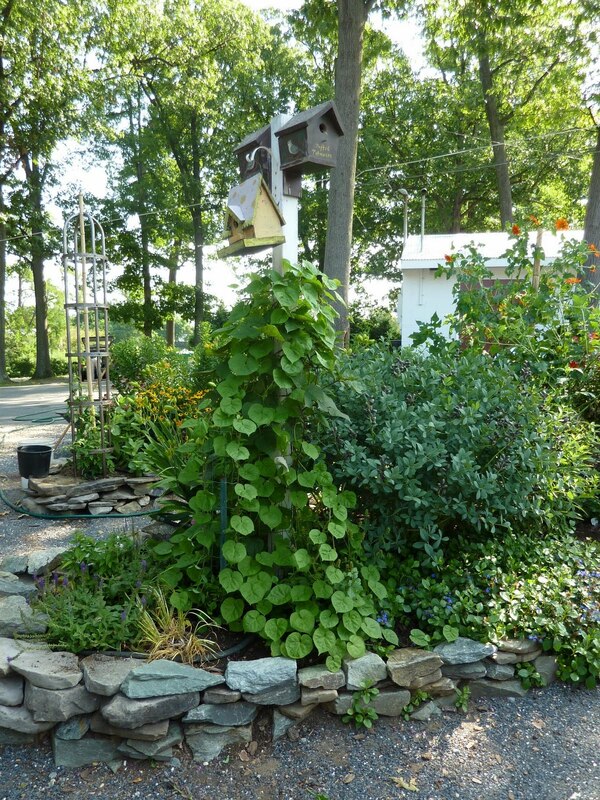 please stop by the Master Gardeners’ Demonstration Garden (near Old McDonald’s Barn and the 4H building) where you will be greeted by MGs ready to show you around and answer your questions. 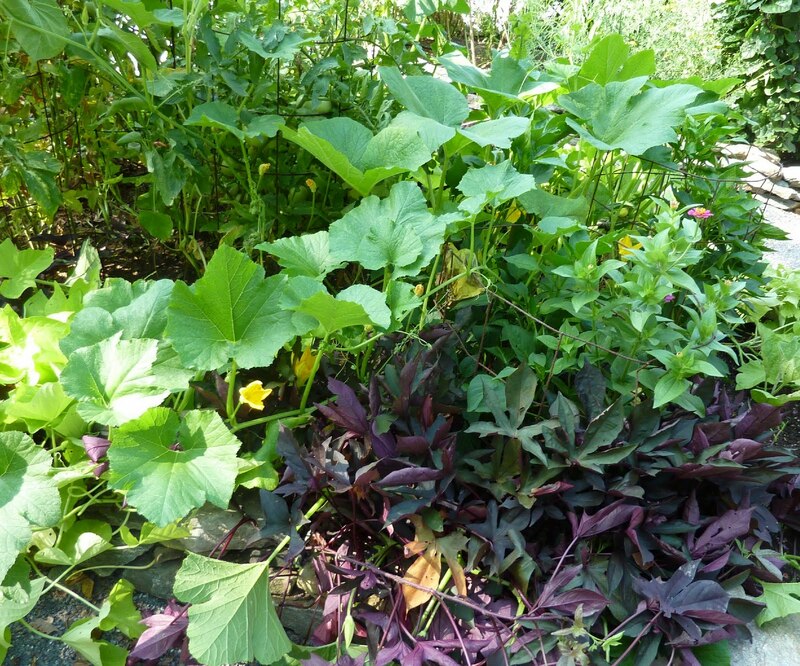 The Fairgrounds Demo Garden highlights important gardening concepts such as native plants, xeriscaping, use of rain water, and attraction of beneficial insects. 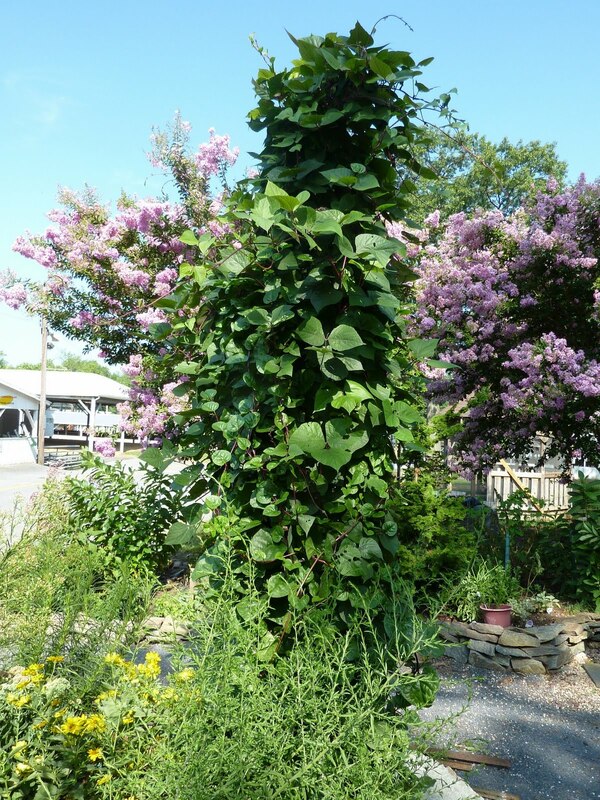 The garden has won several awards and is Bay-Wise certified. And it’s just a lovely place to hang around in. 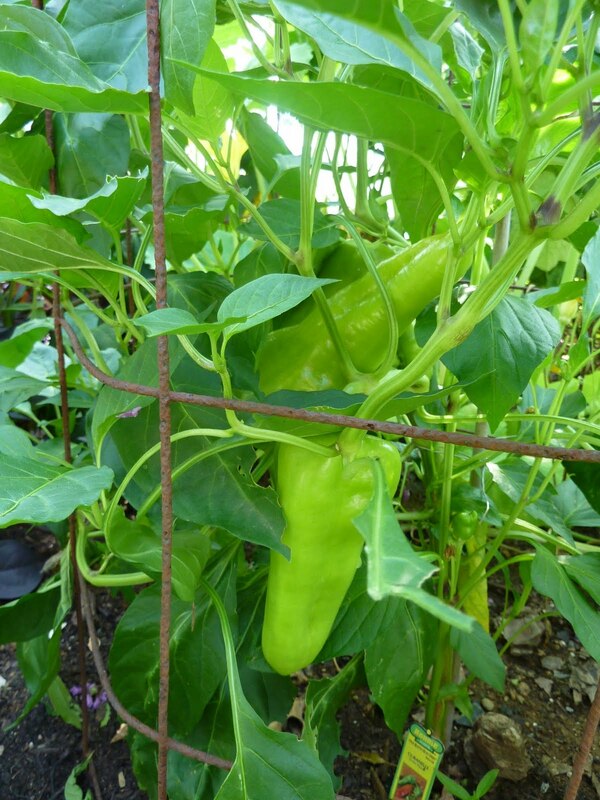 A Cubanelle pepper looks very happy and tasty in the heat! The watering team has kept the garden in good shape even through this nasty weather. We hope you can visit the fair to sample the stomach-churning rides and the sticky, greasy food (in that order, please!) and check out the prize-winning livestock and farm products – but most of all to see the handiwork of some hard-working Master Gardeners.